The Wait is Over! Distributor Websites that will Revolutionize the Packaging Distribution Marketplace! The Packaging Wholesalers is proudly launching our highly anticipated state of the art Distributor Websites. Our User-Friendly Distributor Websites allow you to easily build and sustain a successful online presence while also promoting customer retention and profitability with a simple point and click. We’re steadfast in honoring our ongoing commitment to our customers; thus, pioneering cutting edge technology offering you tools and options for your website customization like no other offering in the packaging world. The Packaging Wholesalers offers all the tools for distributors to find success! Please contact Steve Healy at stephen.healey@packagingwholesalers.com to schedule a demonstration today! 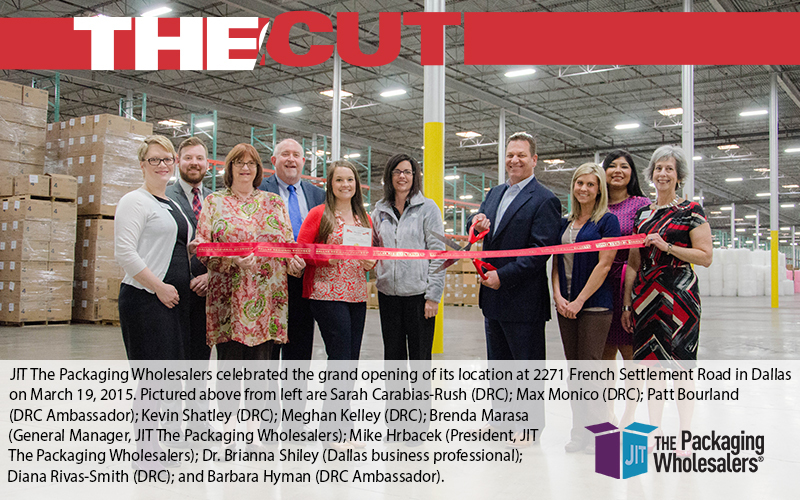 The Packaging Wholesalers is proud to announce that our second facility in Dallas, Texas is now Open for Business! This 300,000 sq.ft. facility is strategically located to service the southern corridor and the west coast of the continental USA. I encourage all Distributors to login and view pricing, you’ll love the savings and the improved lead times. Dallas Local Delivery– All orders of $399 or more placed by 5:30pm CT will deliver next business day on a TPW truck within 75 miles of our facility. We’ve ordered new trucks that are scheduled to arrive in a few weeks. Dallas Local Delivery will only be able available via common carrier until the new trucks are placed into service (approximately Monday May 4, 2015). Common Carrier free delivery threshold is $1000 and delivers within 1-2 business days. Customer Pick-UP – Orders may be scheduled for pick up between 6:30am – 7:30pm. Please allow a 2-3 hour window to process orders. All orders placed with The Packaging Wholesalers will ship Blind – Absolutely NO reference to TPW, BOL’s are labeled with your company name presenting you as the shipper! With our new facilities in Dallas, and our upcoming corporate headquarters relocation to a 500,000 sq.ft. facility located in Elgin, Illinois, we are committed to helping you sell more packaging and be more profitable. We promise to continue setting the standard for superior product quality and customer support. The Wait is Over ! Distributor Websites that will Revolutionize the Packaging Distribution Marketplace ! Click Here to View Video ! PROVIDING ALL OF THE ESSENTIALS FOR A LUCRATIVE DISTRIBUTOR WEBSITE PLUS SO MUCH MORE! Please join us as we roll-out our new distributor website offering at Pack Expo Chicago, IL November 2nd thru 5th 2014. We are located in Lakeside Upper Hall Booth 7749 and encourage you to visit us if attending the show. We look forward to seeing you there! Strong and Sticky Tape – The Packaging Wholesalers proudly introduces our Newest and most Powerful line of Tapes ! JIT The Packaging Wholesalers proudly introduces Strong and Sticky™ our newest and most durable line of carton-sealing tapes. Designed to consistently perform well on recycled corrugate and most all packaging materials making it the perfect alternative to other higher cost tapes and adhesives. Strong and Sticky™ is built tough and comprised of superior properties that work to resist abrasions and scuffing specific to the shipping process. Our new line of tapes are available in both acrylic and hot melt guaranteed to meet the current UPS and U.S. Postal regulations while providing excellent clarity for long-term shelf life and a consistent smooth release. JIT The Packaging Wholesalers is dedicated to offering you competitive price points combined with superior product quality differentiating us from other wholesalers. Our patent-pending delivered pricing program will support distributor initiatives seeking lower cost alternatives while continuing to helping you take innovative products to market that can be trusted. We appreciate each and every order you place with JIT The Packaging Wholesalers and will continue to expand our products in an effort to maintain the best industrial packaging wholesale offering at the most competitive prices in the country. Stay tuned to more exciting news and announcements coming soon!